The Jewish Free Press, Calgary, May 25, 2012, p. 11. Altmann, Alexander. “The Gnostic Background of the Rabbinic Adam Legends.” The Jewish Quarterly Review 35, no. 4. New Series (April 1, 1945): 371-391. Ginzberg, Louis. Legends of the Jews. Edited by Paul Radin. Translated by Henrietta Szold. 2nd ed. Philadelphia: Jewish Publication Society, 2003. Marmorstein, Arthur. Anges et Hommes dans l’Agada. Paris: Libraire Durlacher, 1927. ———. “Vikkuḥei Ha-Ma-Ma’lakhim ‘im Ha-Bore.” Melilah 3-4 (1950): 93-902. Schäfer, Peter. The Hidden and Manifest God: Some Major Themes in Early Jewish Mysticism. SUNY series in Judaica. Albany: State University of New York Press, 1992. Scholem, Gershom Gerhard. Jewish Gnosticism, Merkabah Mysticism, and Talmudic Tradition. New York: Jewish Theological Seminary of America, 1960. ———. Major Trends in Jewish Mysticism. New York: Schocken Books, 1995. Schultz, Joseph P. “Angelic Opposition to the Ascension of Moses and the Revelation of the Law.” The Jewish Quarterly Review 61, no. 4. New Series (April 1, 1971): 282-307. Shoham, S. Giora. The Mytho-Empiricism of Gnosticism: Triumph of the Vanquished. Sussex Academic Press, 2003. Wolfson, Elliot R. Through a Speculum That Shines: Vision and Imagination in Medieval Jewish Mysticism. Princeton, NJ: Princeton University Press, 1994. Wolfson, Elliot R. “Review of: Halperin, David J., The Faces of the Chariot: Early Jewish Responses to Ezekiel’s Vision.” Jewish Quarterly Review 81, no. 3-4 (1991): 496-500. In reading the Bible’s account of the giving of the Torah at Mount Sinai, we observe that there were three principal participants in that event: God, Moses and the people of Israel. However, Jewish tradition added yet another important role to the cast: the angels. The Midrash, Talmud and liturgical poems populated the Sinai landscape with swarms of angels who heightened the drama of that memorable occasion. What was the function of all those angels at Mount Sinai? Indeed, the rabbis strove to outdo one another in imagining the wondrous ways in which the angels bestowed glory upon the congregation of Israel. Homilies in that vein served no doubt to boost the collective egos of Jews suffering from persecution or distress, and to strengthen their appreciation for the Torah and their commitment to observing its precepts. There was, however, another very different understanding of the angels’ role at Sinai, which was expressed in a famous exposition by Rabbi Joshua ben Levi. According to Rabbi Joshua, the angels assembled in order to lobby before the Almighty and express their holy indignation at the temerity of the mortal Moses in ascending to the heights to lay claim to the most sublime of divine gifts, “a precious treasure that was concealed nine hundred and seventy-four generations before the creation of the world.” After hearing their complaints, God charged Moses to debate his supernatural opponents, and the prophet consented to do so only after receiving assurances that he would be granted immunity from being barbecued by their fiery breaths. Moses won the disputation quite easily by pointing out that the ten commandments all presuppose quintessentially human situations and frailties, and have no real relevance for sinless angels who were never enslaved in Egypt, are not subject to idolatry, sexual temptation or covetousness, do not suffer from any weariness that would require a day of rest— and, in general, have no need for the discipline that is embodied in the commandments. According to the Talmud, the angels were so impressed with Moses’s brilliant arguments that not only did they concede his point, but they were instantly transformed into his enthusiastic admirers. 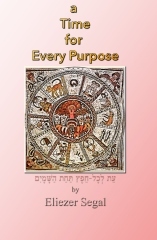 Other variants on this legend have God himself arguing Israel’s case, and citing a different selection of Torah laws that are inapplicable to immortals—mostly in matters of impurity that derive from bodily functions or death. While the principal theme of the debate seems to center on the angels’ reluctance to share the Torah with humans, we may discern an additional concern: a deep-seated opposition to a creature of flesh and blood ascending to a domain that ought to be exclusive to spiritual beings. This sentiment is found in many other works that were composed at the time, especially in the genre known as “apocalypse” where the mortal heroes are chosen to be the vehicles for delivering secret revelations about the end of days. In works of that sort, individuals like Abraham, Enoch and Elijah had to overcome the angels’ antagonism. The Talmud describes a similar struggle in connection with Rabbi Akiva’s mystical ascents; the ministering angels wanted to repel him, until the Almighty ordered them to leave him be because he was indeed worthy to partake of the divine glory. The theme of angels pushing away unworthy humans who are striving to climb to spiritual heights is well known from ancient religious texts. It is most pronounced in the movement known as Gnosticism which encouraged its adherents to elevate themselves above their tainted physical lives and aspire to a purely spiritual state. The Gnostics believed in a scale of seven metaphysical levels, corresponding to the seven known planets. At each planetary level, the soul’s path to the transcendent realms is obstructed by hostile “archons,” powerful figures who inhabit the lower rungs of their elaborate hierarchy. According to a widespread version of gnostic doctrine, there were seven such figures in the employ of the inferior deity known as the Demiurge. Those archons were determined to prevent the souls from returning to their true celestial abodes. In Hebrew texts from the early medieval era, mystics strove to ascend through seven “palaces” (heikhalot). At each level a fearsome angel stood ready to hurl down the unworthy if they did not produce the proper “seal”—a sort of password containing the angel’s secret name. Once that seal was shown, the horrifying guards would transform themselves into the mystic’s allies and hospitably assist him in his climb to the next, more perilous level—just as the hostile angels at Mount Sinai had been transformed from Moses’s enemies to his helpers when he ascended to receive the Torah. Scholarship is uncertain how to characterize the relationship between Gnosticism and Judaism. Initially it was assumed that Gnosticism was an outgrowth of foreign religious and philosophical ideas that attracted a tiny following of Jewish fringe groups. After all, the movement’s impact was most pronounced among early Christians who adopted a distinctly anti-Jewish version of gnostic theology according to which the Creator who appears in the “Old Testament” was merely the Demiurge, a being steeped in materialism, and not the true spiritual God. However, historians are now much more receptive to the thesis that Gnosticism originated among Jews, and that it formed the core of rabbinic mystical activity. Accordingly, it is unclear whether Rabbi Joshua ben Levi’s retelling of Moses’s confrontation with the angels should be understood as an attempt to interpret the revelation at Sinai through the prism of Jewish mystical lore, or as an outright rejection of the gnostic view of the Torah. The latter thesis might explain, for example, why Moses focussed on the Torah’s prosaic moral, ritual and legal contents as opposed to presenting it as a work of metaphysical mysteries. Other scholars have theorized that the Hebrew texts that speak about angels repelling who ascend through the celestial palaces originated among dissident Jewish groups who saw their mystical ascents as a kind of rebellion against the oppressive authority of the rabbinic “angels” who sought to suppress their spiritual adventures. Now, these ambitious speculations about sectarian rivalries and mystical quests may provide fascinating intellectual challenges for a few learned scholars. For me, perhaps the most meaningful lesson of the legend is the appreciation that the full experience of Torah cannot be received passively, but is most effectively acquired through a process of ongoing debate, confrontation and struggle.